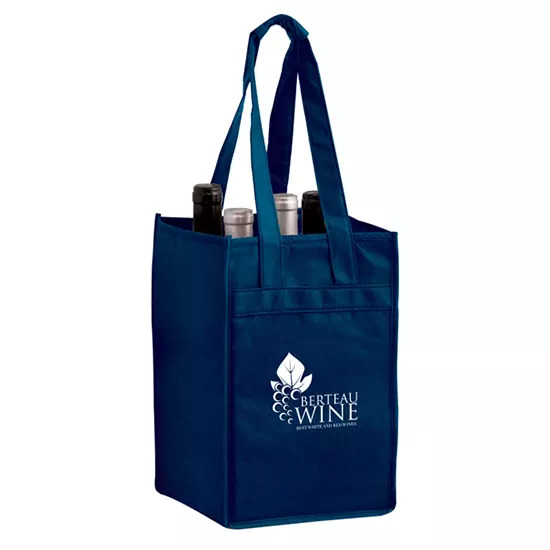 Imprint your winery’s logo on these 4 bottle wine totes. 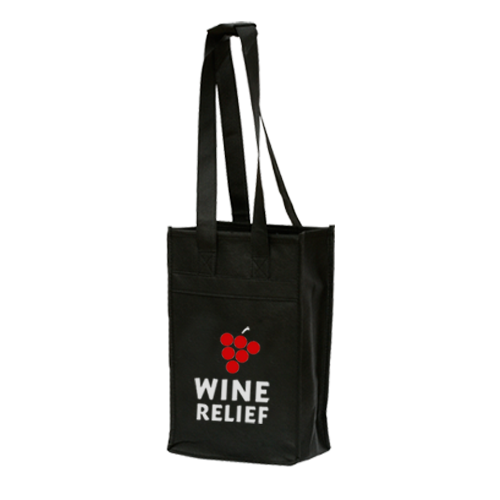 They’re made from eco-friendly non-woven polypropylene material with reinforced handles, a bottom board, and inside dividers to deliver reliable durability. 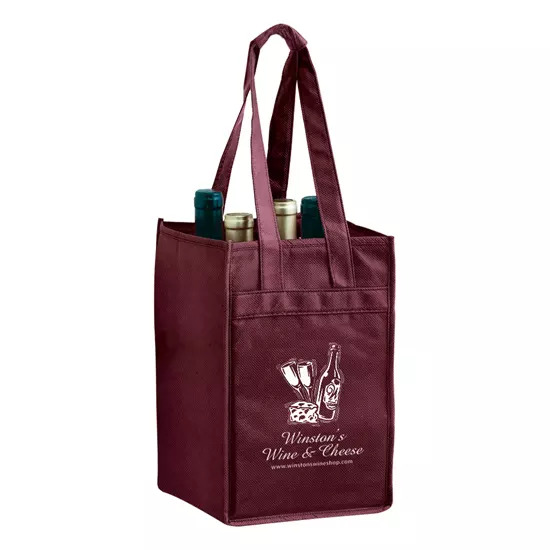 These wine totes are made of recycled material and they can be customized to fit your marketing needs. 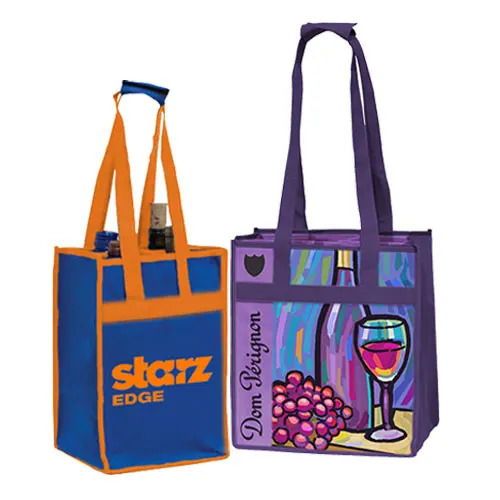 Your winery or farm can take advantage of wholesale prices and use these 4 bottle wine totes to improve logo recognition for brand visibility. 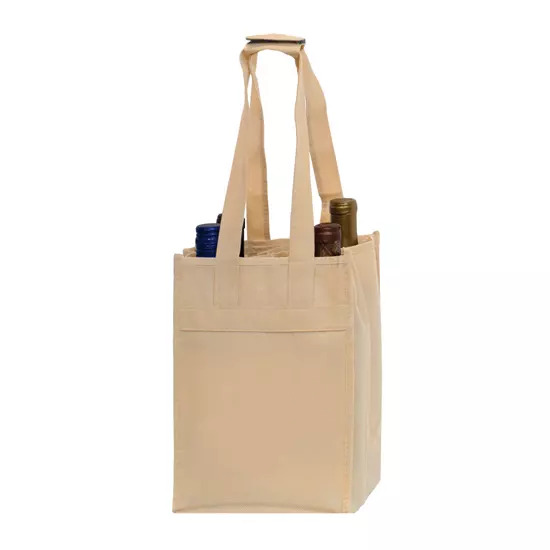 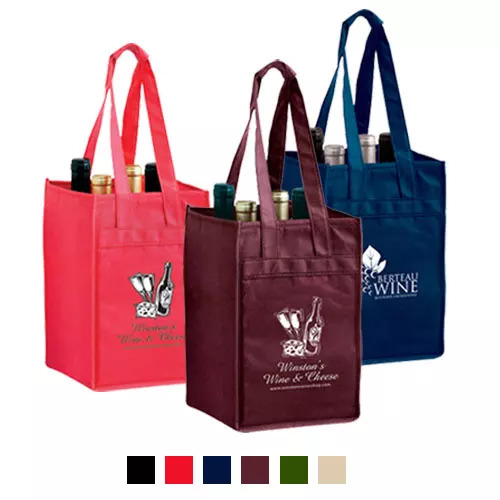 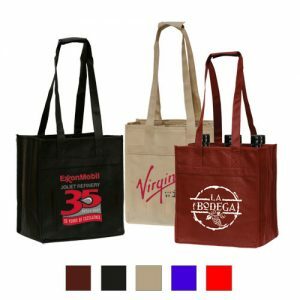 We offer a large selection of bag and imprint colors, as well as 2 bottle wine totes and 6 bottle wine totes so you can order exactly what you need.